You need to make payments to build your credit. Silko Honda accepts people with good credit, bad credit, no credit, and past bankruptcy to get the financing assistance they need to pay for their vehicle. Making payments with us on time will help to raise your score. Silko Honda is here to help you! We understand that the economy has been turbulent lately and that bad things can happen to good people. With recent changes in the banking industry, Silko Honda is able to extend a helping hand to get you a great vehicle. We make the time to listen to you and your unique financial situation, and we can get you approved for a vehicle loan within minutes. If you have had problems finding credit and a lender that will work with you, your search is over! Silko Honda has a simple application that puts you just minutes away from approval and a brighter future. Don’t wait, complete our application today! This is a secure form and your information will be kept private and secure and will be used for loan approval purposes only. Filling out this form ahead of time allows you to pre-qualify for your loan, saving you time and allowing us to secure the best possible financing for your vehicle purchase. 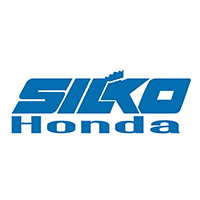 Our goal at Silko Honda is to provide all the information you need when purchasing a vehicle. Our Business Office provides choices when it comes to funding your vehicle purchase.